Since both Theresa and I lived in Brooklyn for many years, we were particularly excited to speak with Stacey Murphy. 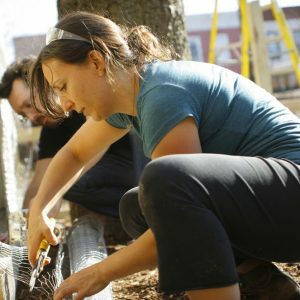 Stacey founded BK Farmyards in 2009 as a Brooklyn-based initiative focused on expanding food justice through agricultural production and education in Brooklyn. Most interesting to us, at least at the outset of the call, was to further understand this rare individual who saw Brooklyn – a borough largely coated with concrete and brick – as a place for growing food. And, as interesting, who then takes a business whose essence lies within the soil, and creates a thriving, online training program to help anyone grow their own food, wherever they are? What we found though was that, like many who veer off the mainstream path, Stacey has created a highly individual, nuanced and thriving life for herself across all areas of living. Diet, fitness, spirit, work life, travel…all have been reimagined by Stacey and designed to suit her. And, this new life began as a “flash” on her way to an entirely different kind of work in a very different world. Like many, she felt a deep resistance to going to her day job, but unlike most, she listened to her body and a deeper voice within. She called in sick and soon found herself at a farmers market, observing the natural rhythms and rituals of farmers and their vibrant food. This connection between farmer and food spoke to her deeply, to the point where she committed to changing her life, and to design it in a way which deeply worked for her – in every way. And, as important, she then put a plan in place to activate this vision and taking it from the realm of ideas into reality. Now, Stacey works largely from her laptop wherever she finds herself (definitely listen to her digital nomad experiences – time stamp 48:40). She runs a thriving online business which has expanded her impact to help anyone who might want to grow their own food worldwide. She practices AcroYoga, eats food very consciously (be sure to check-out what she has for breakfast – time stamp 56:40), and has an inspired relationship to nature (amongst many other things). 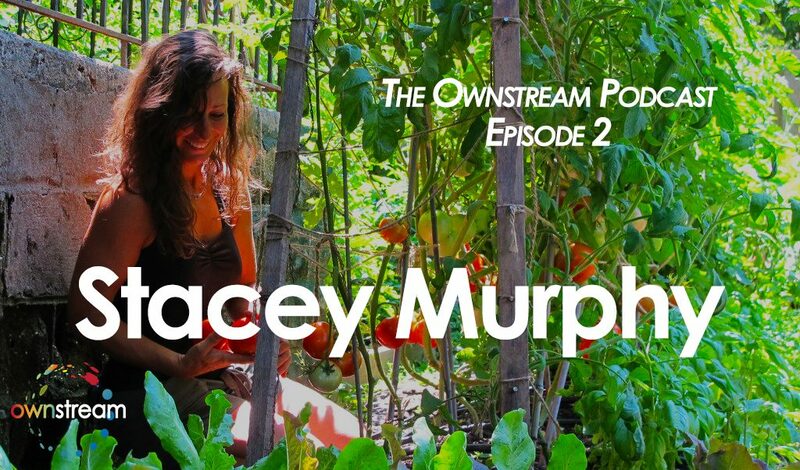 Stacey embodies many of the new and exciting emerging ways of living and being in the world, and we hope you are as inspired as we were talking with her.